Hi there! My name is Tom. I'm a Linux System Administrator and PHP Developer. My job is to keep PHP websites running as smooth as possible. Being both on the 'dev' and 'ops' side gives me a broad skillset across the entire stack. 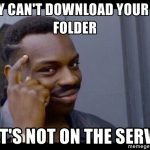 Is your Symfony/Doctrine import consuming a lot of memory?